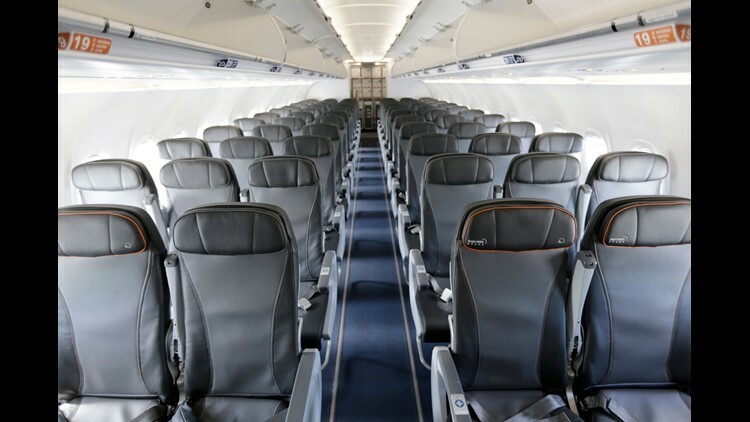 This file photo from March 16, 2017, shows the interior of a commercial airliner at John F. Kennedy International Airport in New York. Boeing's unique Dreamlifter, a heavily modified 747, lifts off from Anchorage International Airport in April 2017. A Lynden Air Cargo C-130 Hercules lands at Anchorage International Airport on April 29, 2017. One of the last Boeing 747-200s, flying for Kalitta Air, arrives to Seattle-Tacoma International Airport on April 20, 2017. The first Boeing jetliner made outside of the Puget Sound, the 787-10, makes it's debut in Seattle on April 6, 2017. A FedEx MD11 cargo jet takes off from Anchorage International Airport on April 28, 2017. The Commercial Aircraft Corporation of China (COMAC) conducted the first test flight with its new single-aisle aircraft on May 5, 2017. 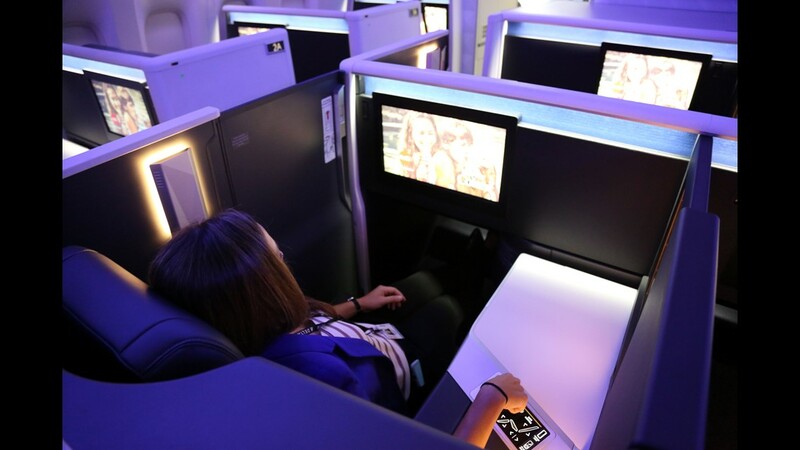 There are already orders from mainly Chinese airlines. An EVA Air Boeing 777 painted in Star Alliance colors lands at Seattle-Tacoma International Airport on April 20, 2017. A China Air Cargo Boeing 747 takes off from Anchorage International Airport on April 28, 2017. 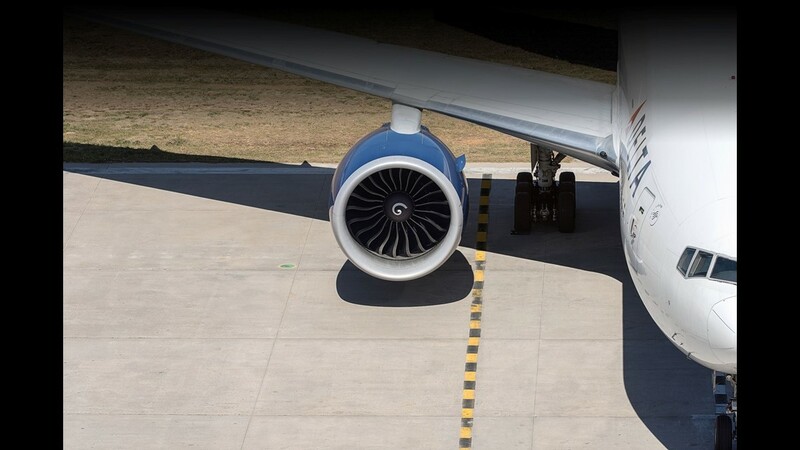 The main gear of a Boeing 747-8. One of the last Boeing 747-200s, flying for Kalitta Air, taxies at Seattle-Tacoma International Airport on April 20, 2017. New Boeing 737s, all awaiting delivery, rest on a flight line at Boeing Field in Seattle on April 6, 2017. A co-pilot takes a quick look at a group of photographers at Vancouver International Airport in Canada on March 28, 2017. The flight deck of one of the last airworthy Boeing 747-200s is seen in Seattle on April 20, 2017. An Asiana Cargo Boeing 747 takes off from Anchorage International Airport on April 29, 2017. A UPS Boeing 747 freighter takes off from Anchorage International Airport on April 28, 2017. The first Boeing 737 MAX 9 takes off on its inaugural flight on April 13, 2017 from Renton, Wash.
An unusual Omega Tanker modified Boeing 707 takes a break at Anchorage International Airport on April 29, 2017. The first Boeing jetliner made outside the Puget Sound, the 787-10, makes it debut in Seattle on April 6, 2017. A small plane taxies out for departure at Renton Airport in Washington in April 2017. A Northern Air Cargo Boeing 737-200 takes off from Anchorage International Airport on April 30, 2017. A WestJet Boeing 737-700 takes off from Canada's Vancouver International Airport on March 28, 2017. An Air Canada Boeing 787, painted in the carrier's new livery, taxis out for take off on a wet day at the Vancouver International Airport in Canada on March 28, 2017. A Japan Airlines (JAL) Boeing 787 lands at Vancouver International Airport in Canada on March 28, 2017. An Air Canada Bombardier Q400 appears as if it's balancing on one set of wheels as it taxis to a gate at Canada's Vancouver International Airport on March 28, 2017. The first-ever Boeing 737, seen at the Museum of Flight in Seattle on April 9, 2017 -- the 50th anniversary of the jet's first flight in 1967. Ground staff load luggage from an Alitalia airplane at Linate airport in Milan on April 27, 2017. A Southwest Boeing 737 MAX 8 rests in the parking lot of the Museum of Flight in Seattle on April 9, 2017. 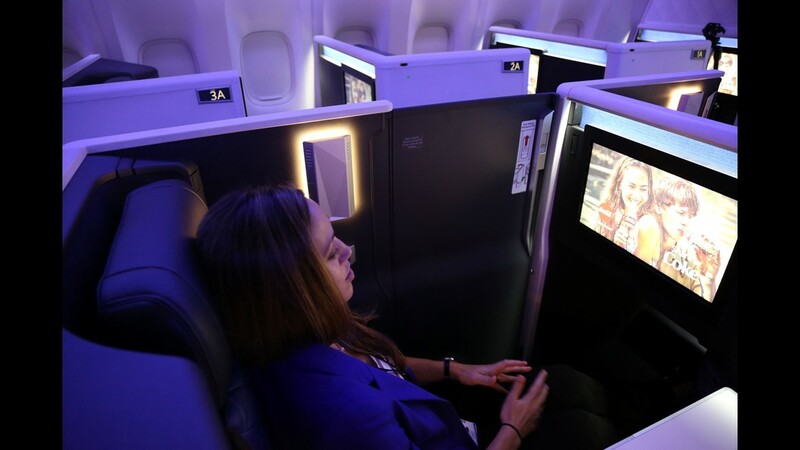 The jet will be the airline's first MAX. 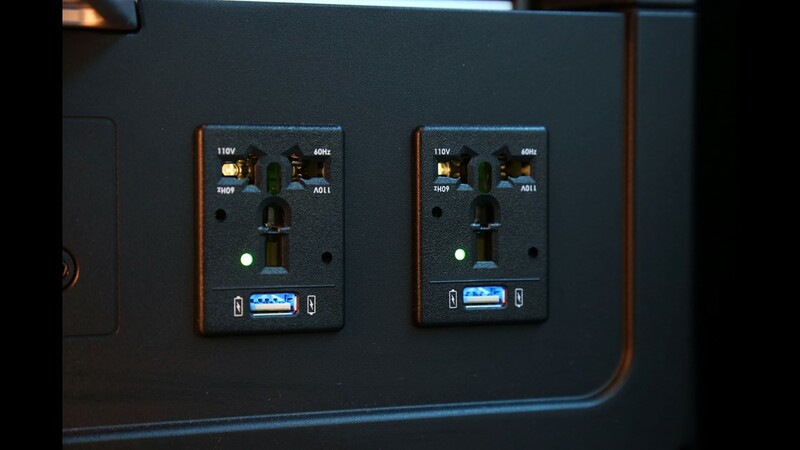 set to be delivered later this year. A small plane taxies out for departure at Renton Airport in Renton, Wash. in April, 2017. Fliers disembark from the low-cost airline company Wizz Air plane after the flight from Dortmund arrived at the Constantine the Great Airport in Nis, Serbia on May 8, 2017. 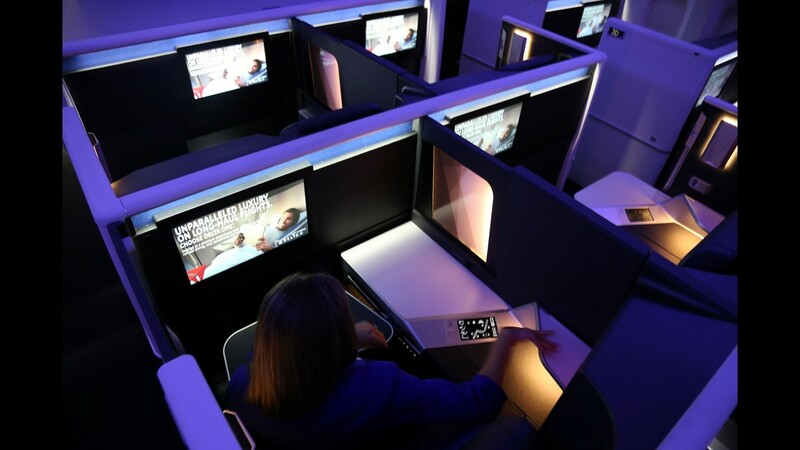 The Delta One 'suites' cabin as seen onboard Delta's first Boeing 777 to be retrofitted with the airline’s latest cabin interior. 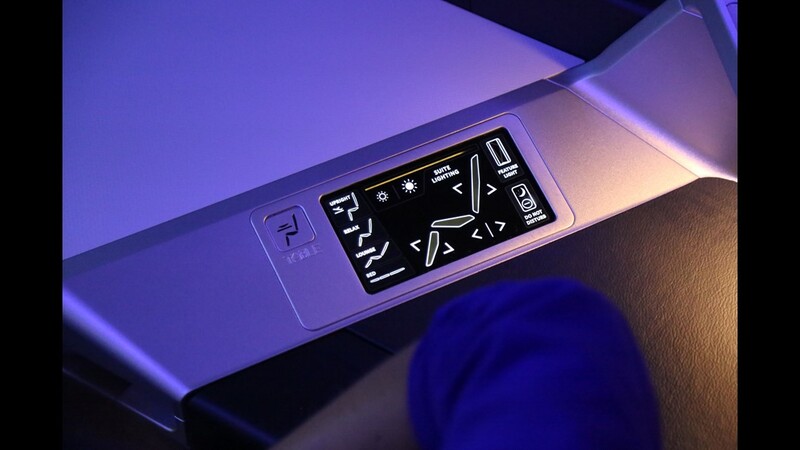 Delta showed off the interior in Atlanta on June 15, 2018. 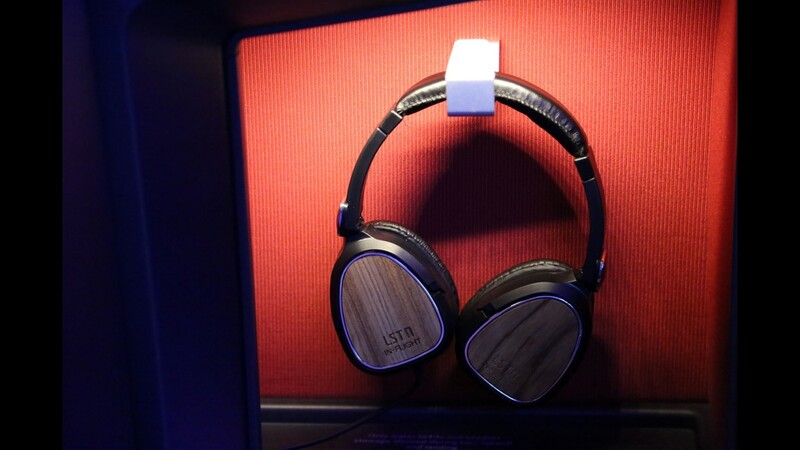 Noise-canceling headphones are among the amenities customers can use in-flight when they book a seat in the Delta One business-class cabin. 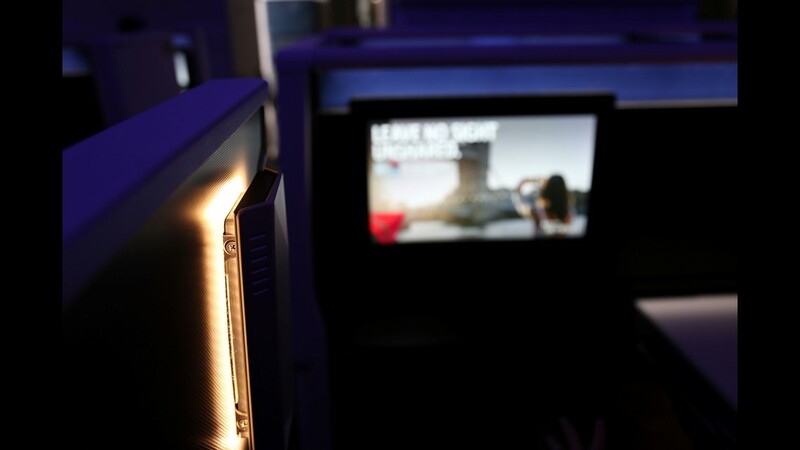 Delta showed off its first 777 to be retrofitted with a new interior in Atlanta on June 15, 2018. 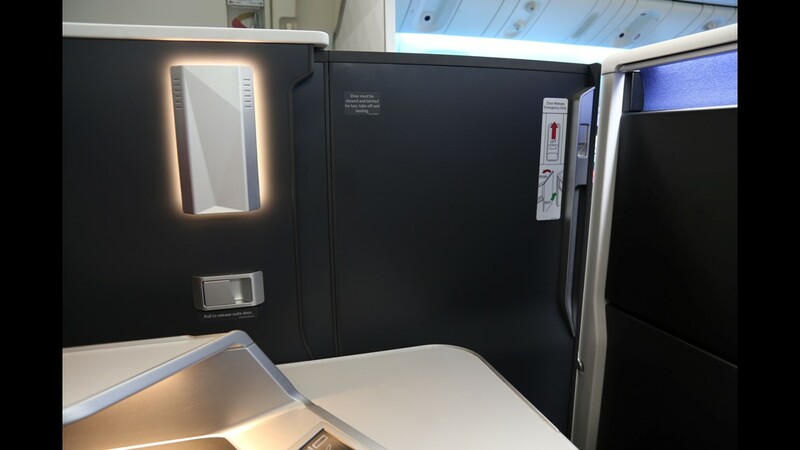 The sliding privacy doors at a Delta One 'suite' as seen onboard Delta's first Boeing 777 to be retrofitted with the airline’s latest cabin interior. 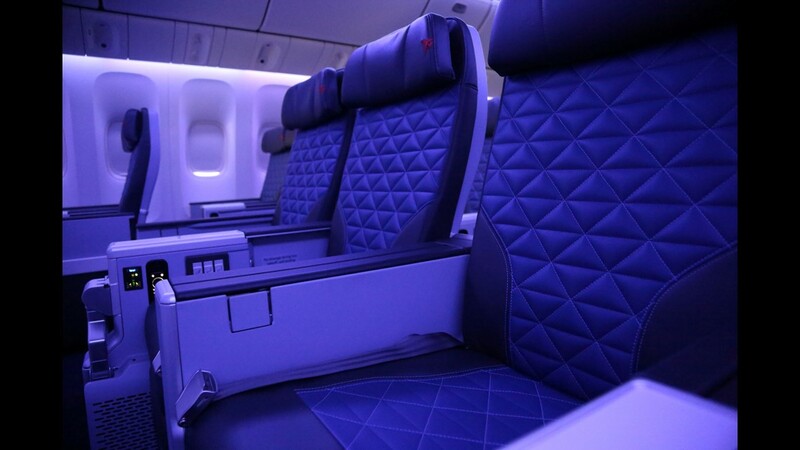 Delta showed off the interior in Atlanta on June 15, 2018. 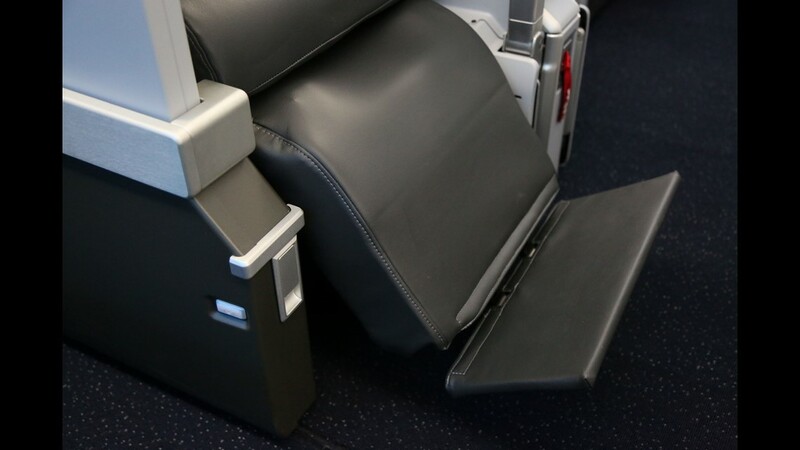 Delta One 'suites' seats as seen onboard the carrier’s first Boeing 777 to be retrofitted with an updated cabin interior in Atlanta on June 15, 2018. 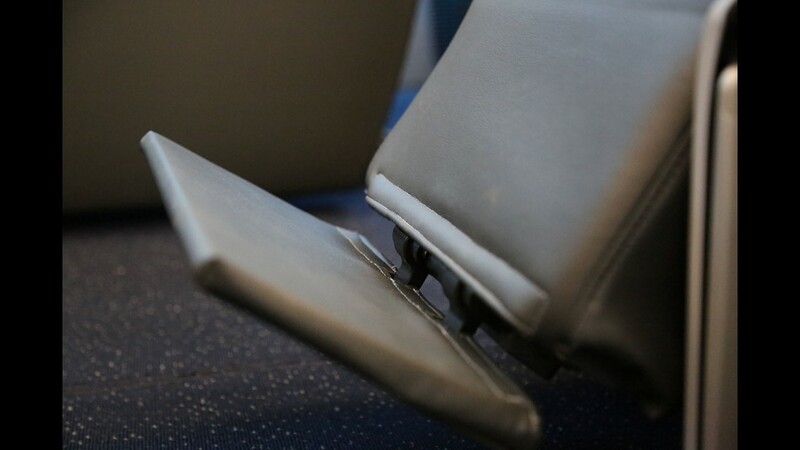 A Delta One seat -- seen here in lie-flat mode -- is seen onboard Delta's first Boeing 777 to be retrofitted with the airline’s latest cabin interior. 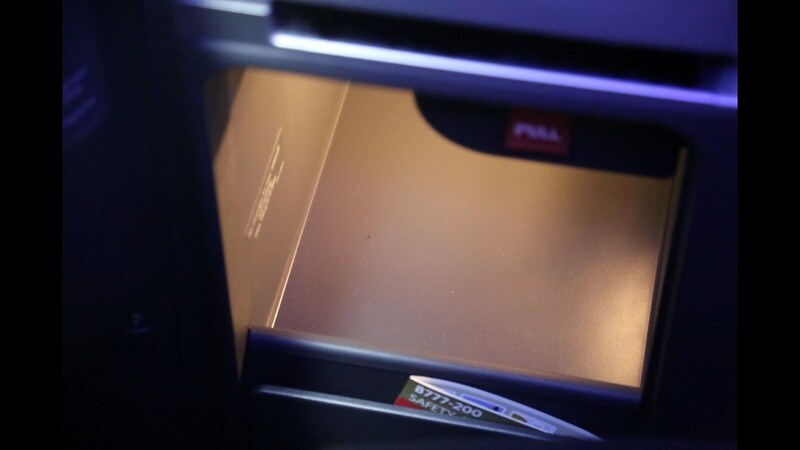 Delta showed off the interior in Atlanta on June 15, 2018. 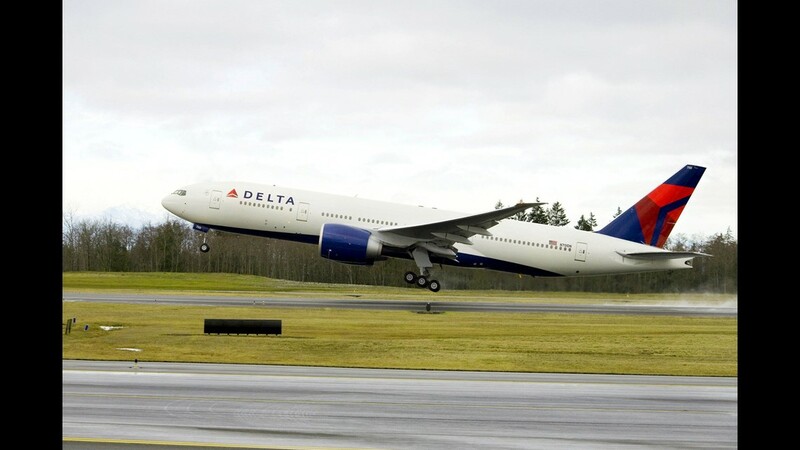 This undated file photo shows one of Delta's Boeing 777 aircraft. 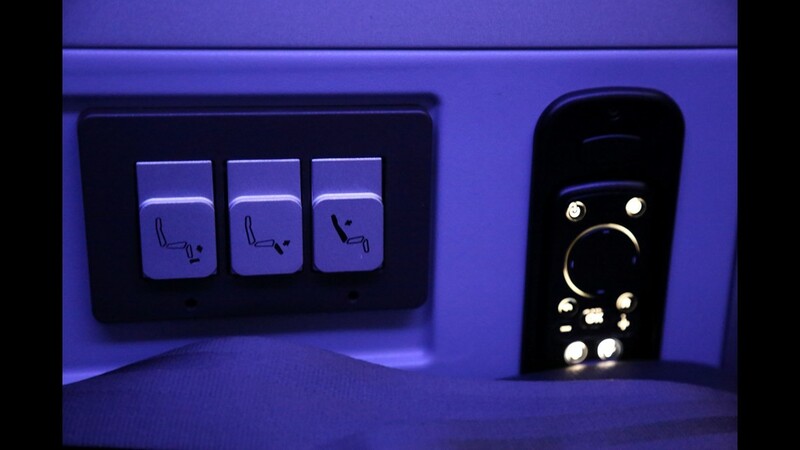 A control panel for the Delta One 'suites' seats as seen onboard Delta's first Boeing 777 to be retrofitted with an updated cabin interior. 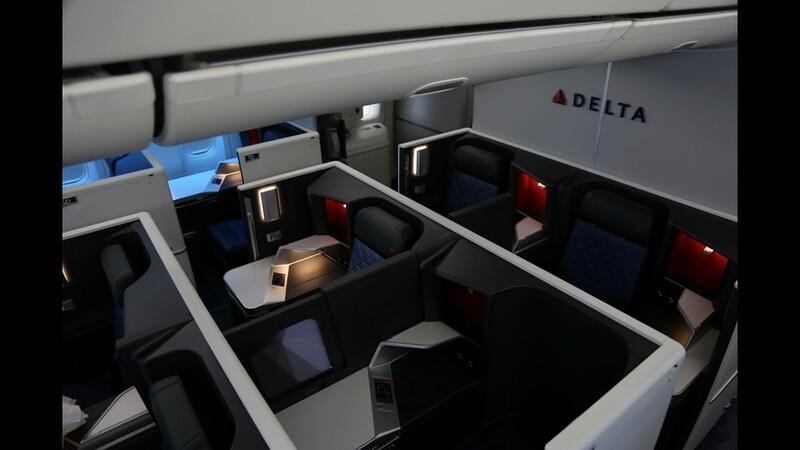 Delta showed off the interior in Atlanta on June 15, 2018. 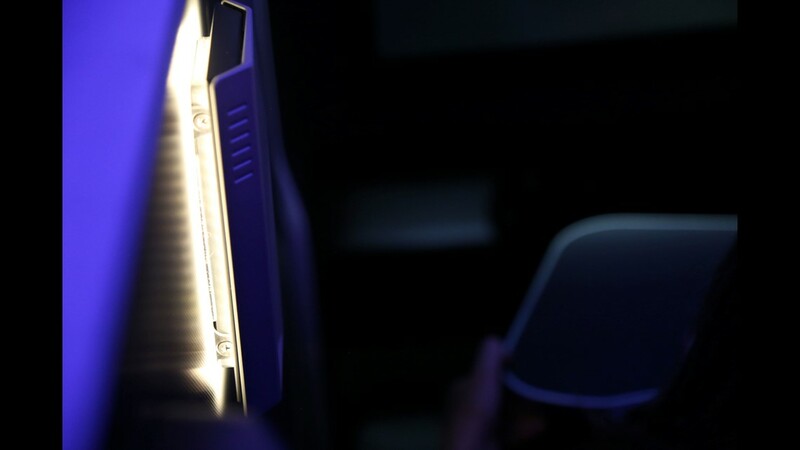 A Delta employee shows the features of the Delta One 'suites' seats as seen onboard the carrier’s first Boeing 777 to be retrofitted with an updated cabin interior in Atlanta on June 15, 2018. 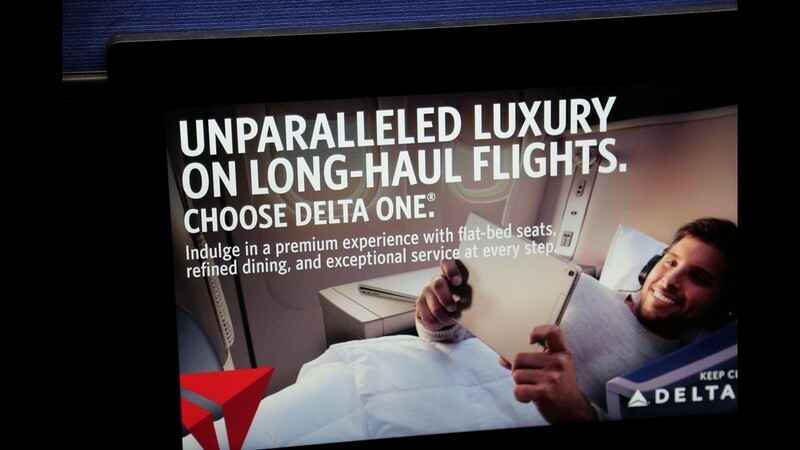 Delta showed off the interior in Atlanta on June 15, 2018. 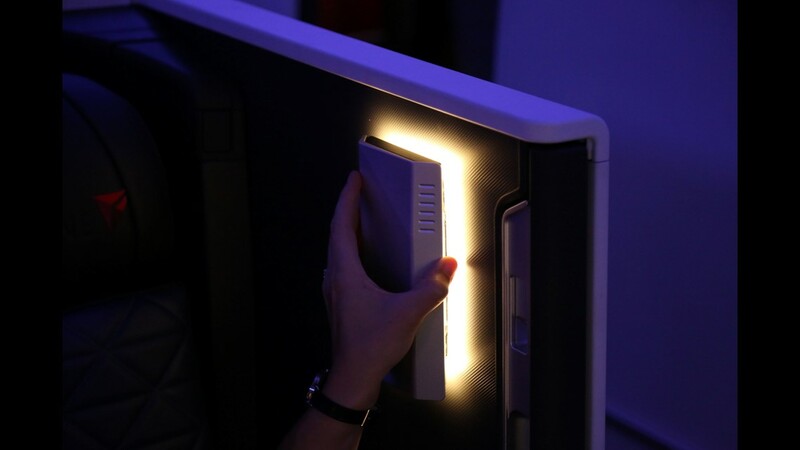 A close-up of the wall light in a Delta One seat as seen onboard the carrier’s first Boeing 777 to be retrofitted with an updated cabin interior in Atlanta on June 15, 2018. 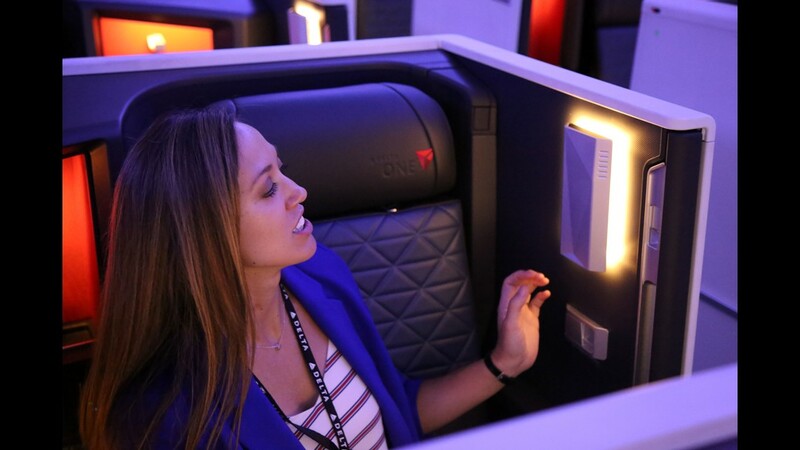 Delta showed off the interior in Atlanta on June 15, 2018. 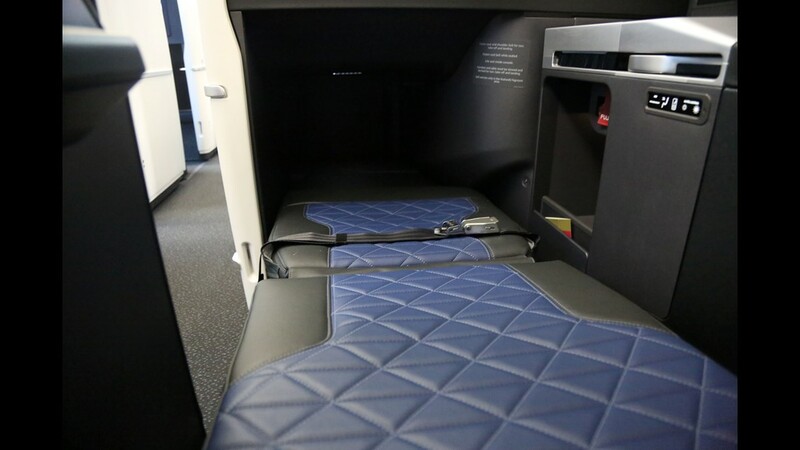 There’s lots of legroom in the Delta One ‘suites’ cabin on Delta’s retrofitted Boeing 777 jets. 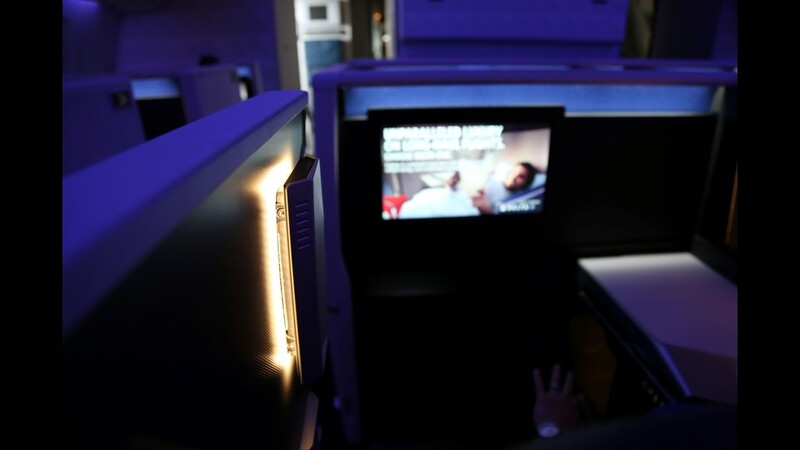 Delta showed off the first 777 to get the new interior in Atlanta on June 15, 2018. 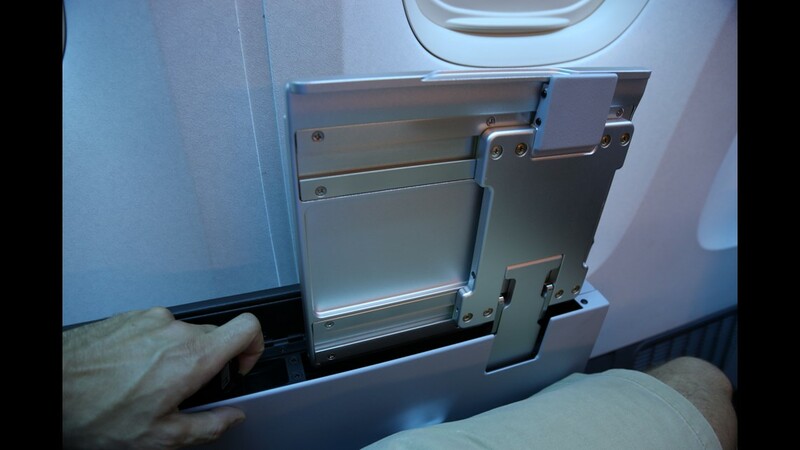 Customers sitting in the Delta One ‘suites’ seats can use storage compartments like this one. 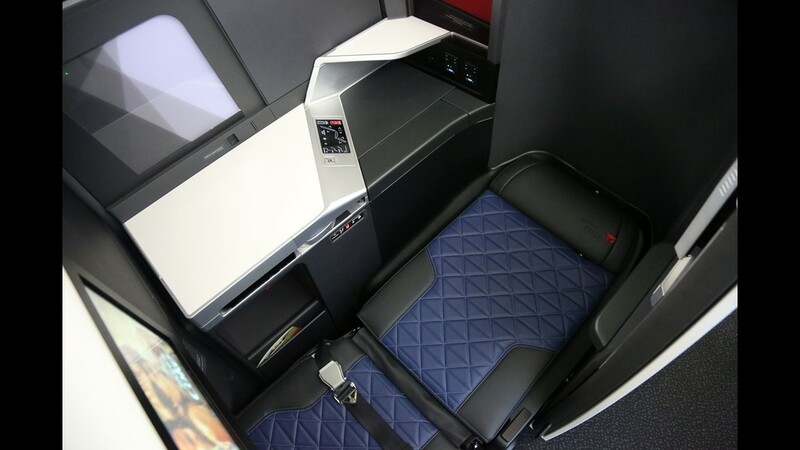 Delta showed off its first 777 to get the new interior in Atlanta on June 15, 2018. 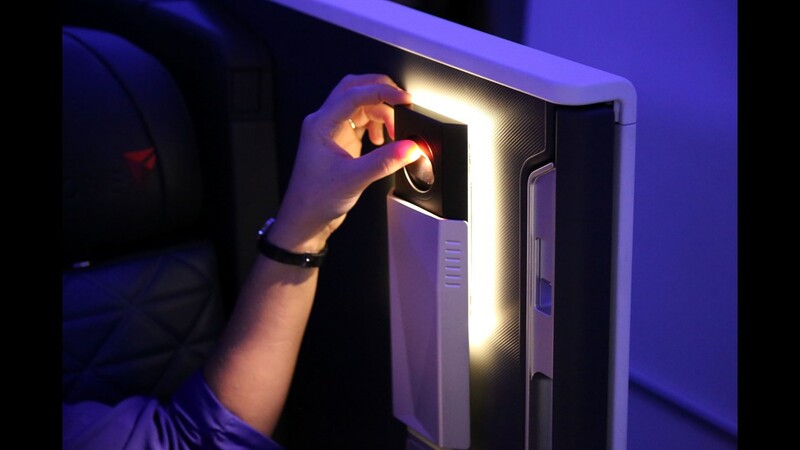 An up-close look of the wall-mounted lighting fixture in a Delta One seat as seen onboard the carrier’s first Boeing 777 to be retrofitted with an updated cabin interior in Atlanta on June 15, 2018. 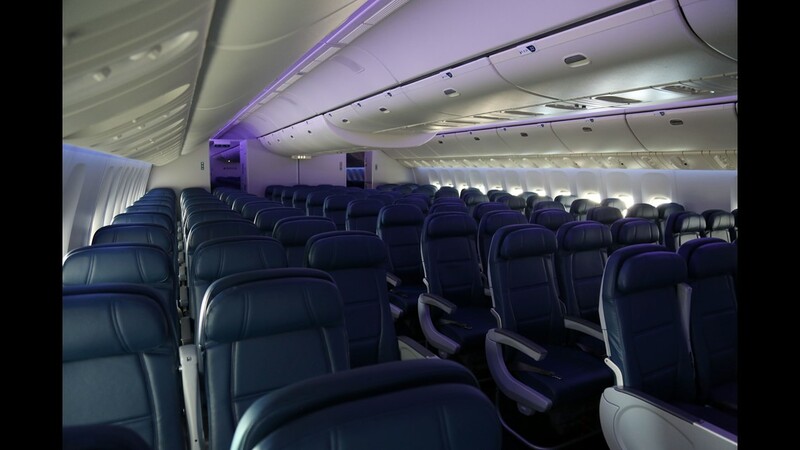 Delta showed off the interior in Atlanta on June 15, 2018. 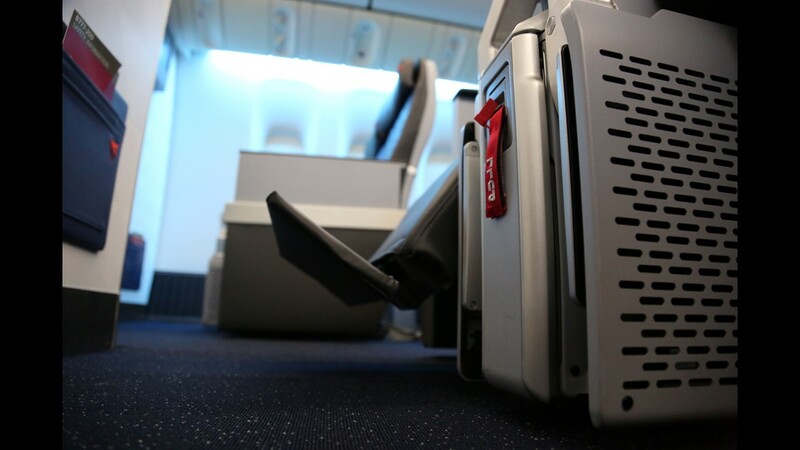 A Delta One seat as seen onboard the carrier’s first Boeing 777 to be retrofitted with an updated cabin interior in Atlanta on June 15, 2018. 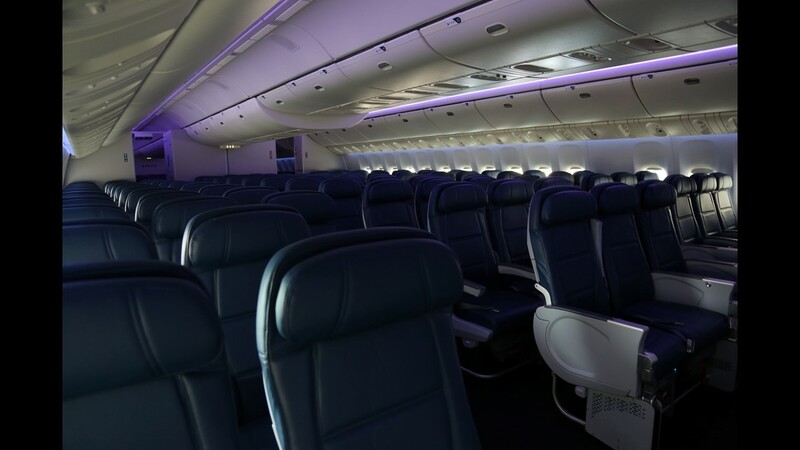 Delta showed off the interior in Atlanta on June 15, 2018. 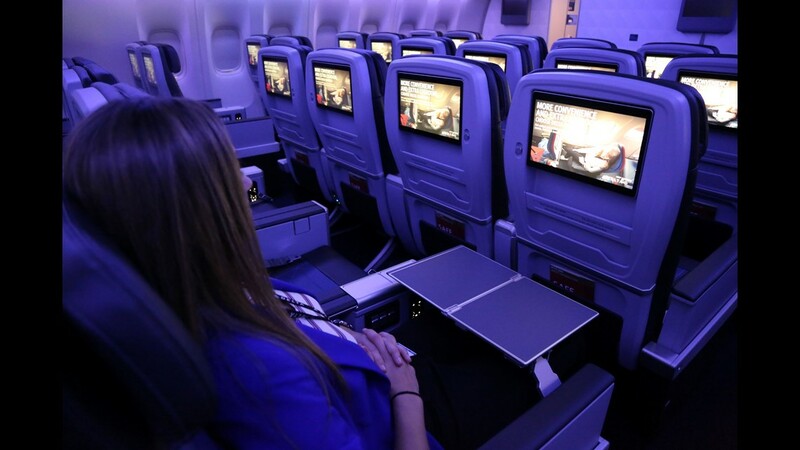 Delta One customers can watch in-flight entertainment on 18-inch, high-resolution screens. 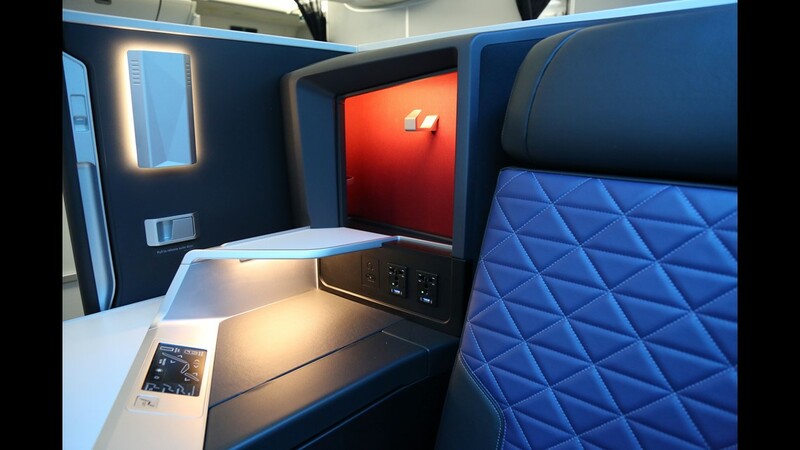 Delta showed off its first 777 to get the new interior in Atlanta on June 15, 2018. 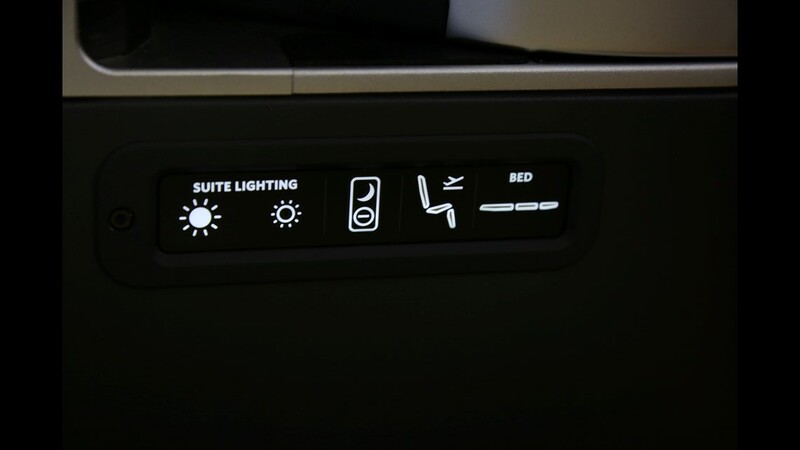 Delta’s international-style premium economy cabin – branded Delta Premium Select – is seen on Delta's first Boeing 777 to be retrofitted with its latest cabin interior. 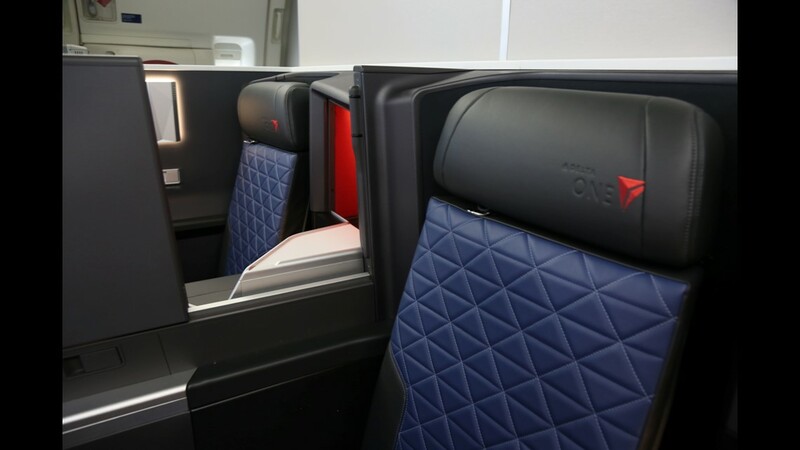 Delta showed off the interior in Atlanta on June 15, 2018. 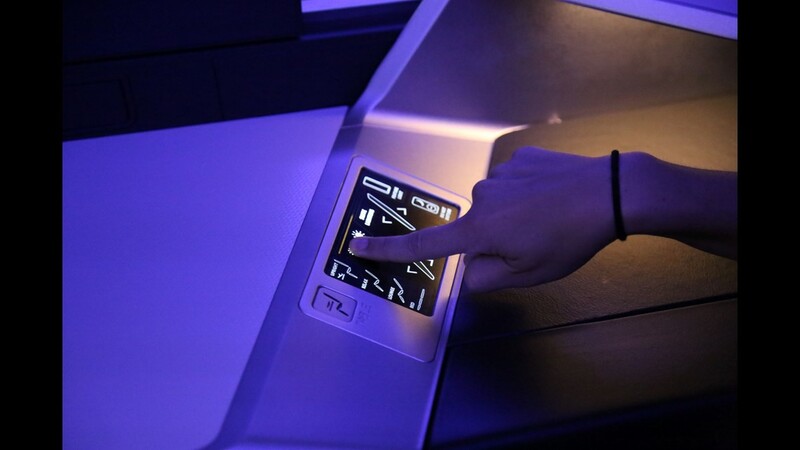 Control panels for Delta’s new international-style premium economy cabin – branded Delta Premium Select – are seen on Delta's first Boeing 777 to be retrofitted with its latest cabin interior. 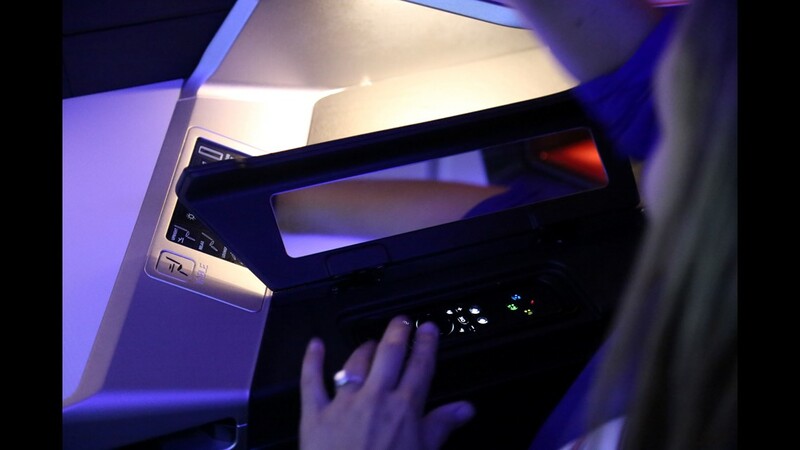 Delta showed off the interior in Atlanta on June 15, 2018. 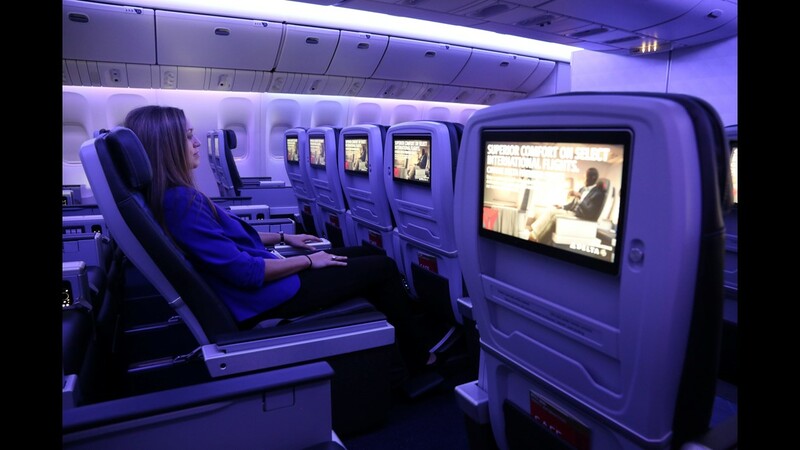 Seatback screens in Delta’s international-style premium economy cabin – branded Delta Premium Select – are larger than in standard economy. 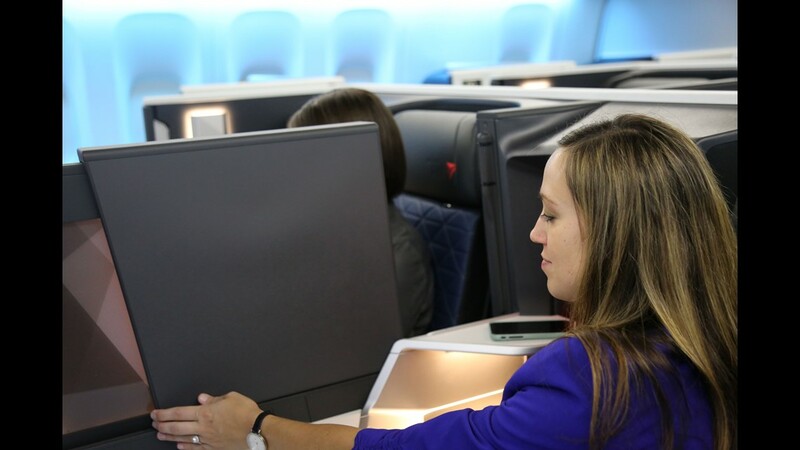 Delta showed off its first 777 to get its latest cabin interior in Atlanta on June 15, 2018. 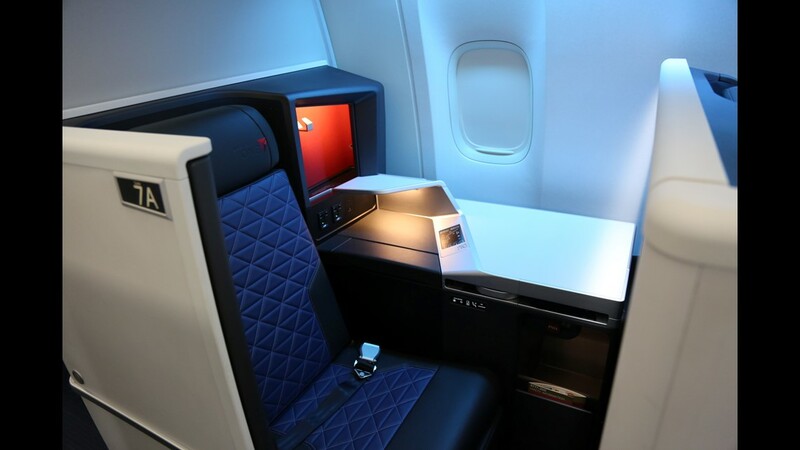 Delta’s ‘Main Cabin’ economy seats are seen on Delta's first Boeing 777 to be retrofitted with its latest cabin interior. 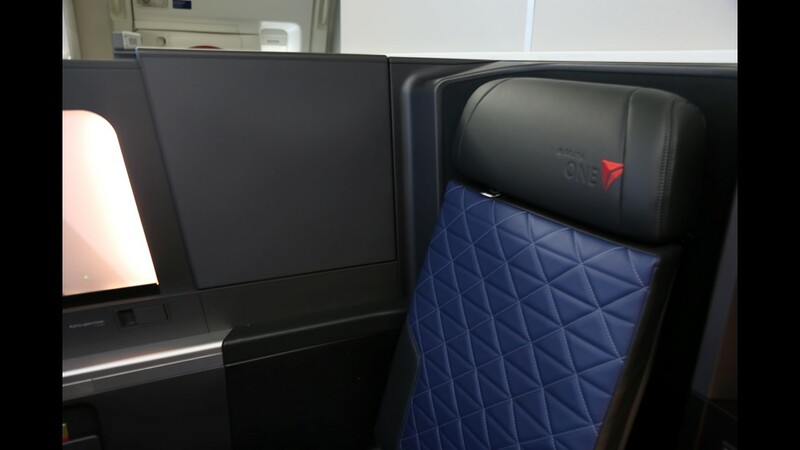 Delta showed off the interior in Atlanta on June 15, 2018. 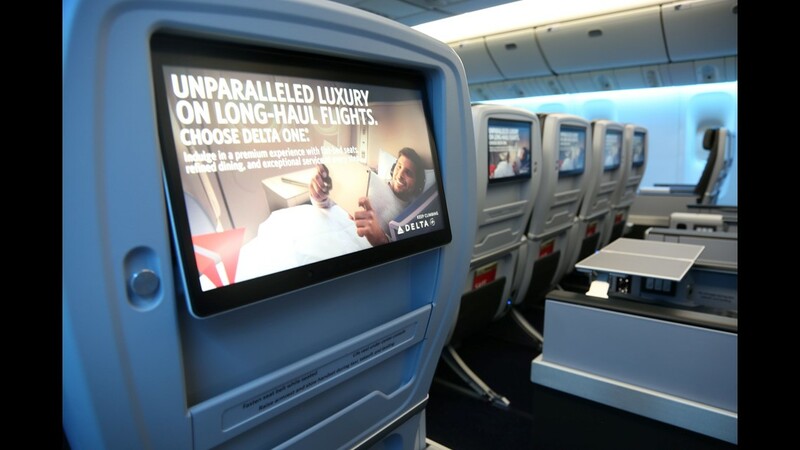 A seat in Delta’s international-style premium economy cabin – branded Delta Premium Select – is seen on Delta's first Boeing 777 to be retrofitted with its latest cabin interior. 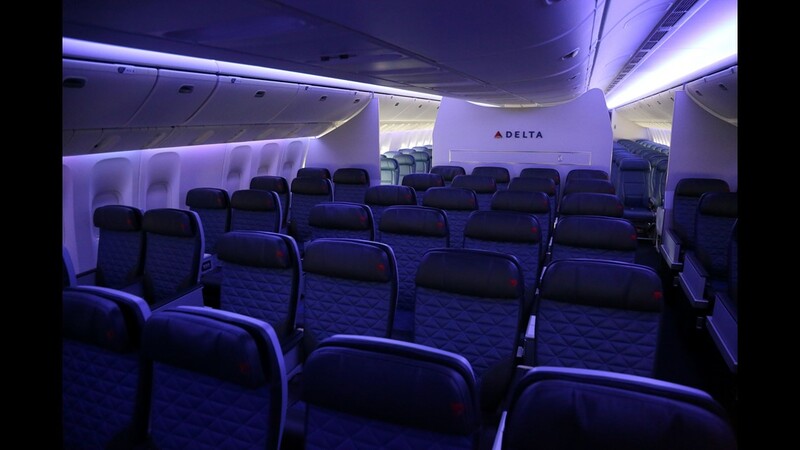 Delta showed off the interior in Atlanta on June 15, 2018. 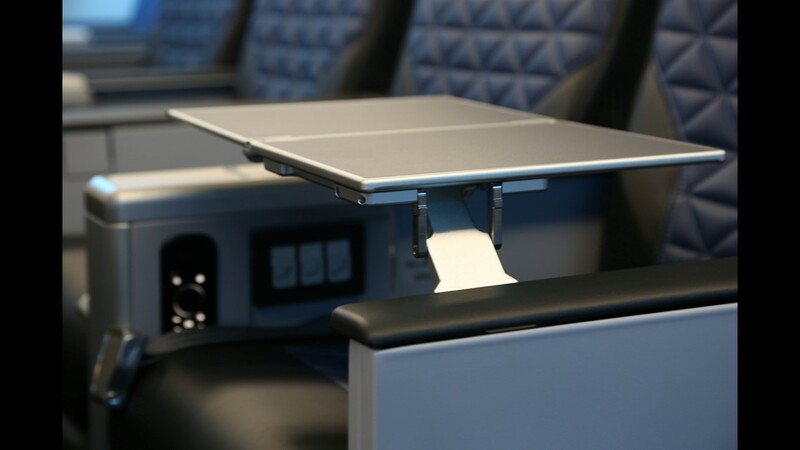 Footrests are a feature for Delta’s international-style premium economy seats, branded Delta Premium’ Select.’. 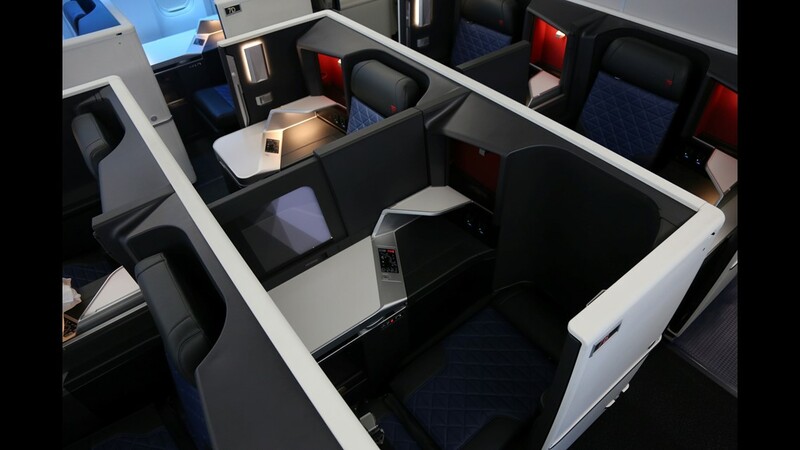 Delta showed off its first 777 to get its latest cabin interior in Atlanta on June 15, 2018. 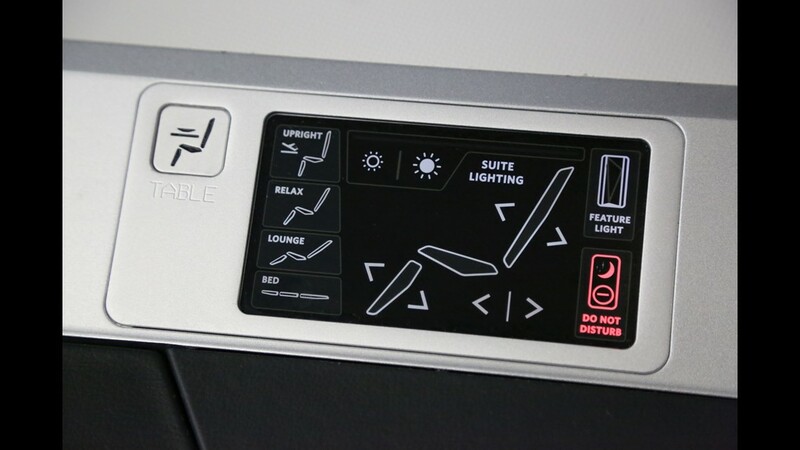 Control panels for Delta’s new international-style premium economy cabin – branded ‘Delta Premium Select’ – are seen on Delta's first Boeing 777 to be retrofitted with its latest cabin interior. 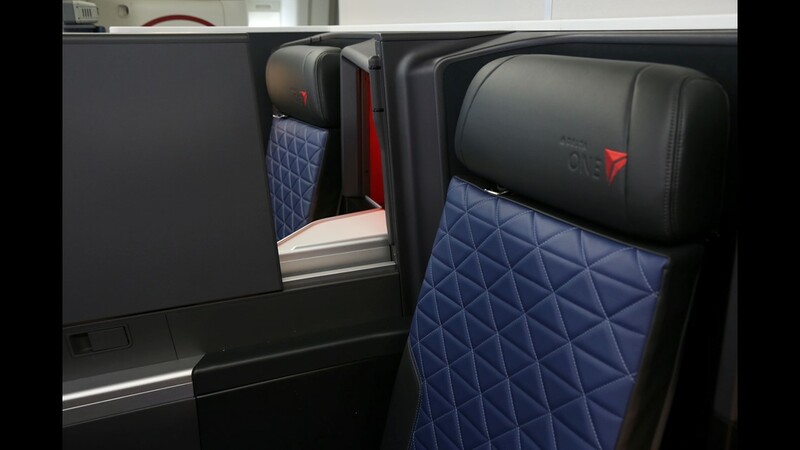 Delta showed off the interior in Atlanta on June 15, 2018. 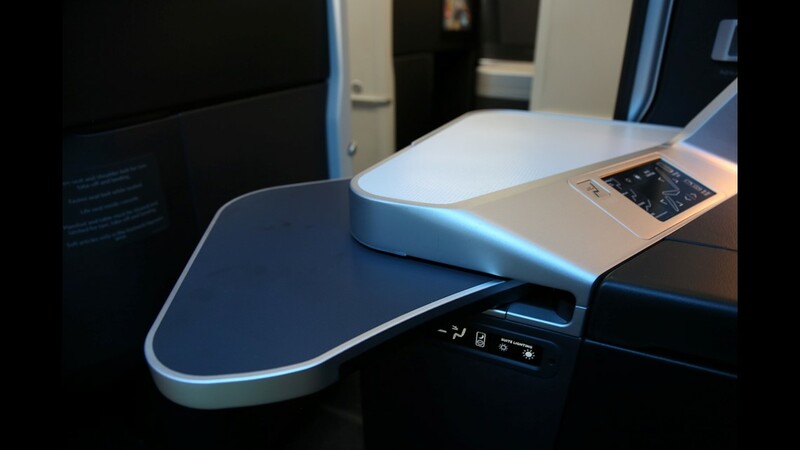 Tray tables for Delta’s new international-style premium economy cabin – branded ‘Delta Premium Select’ – are seen on Delta's first Boeing 777 to be retrofitted with its latest cabin interior. 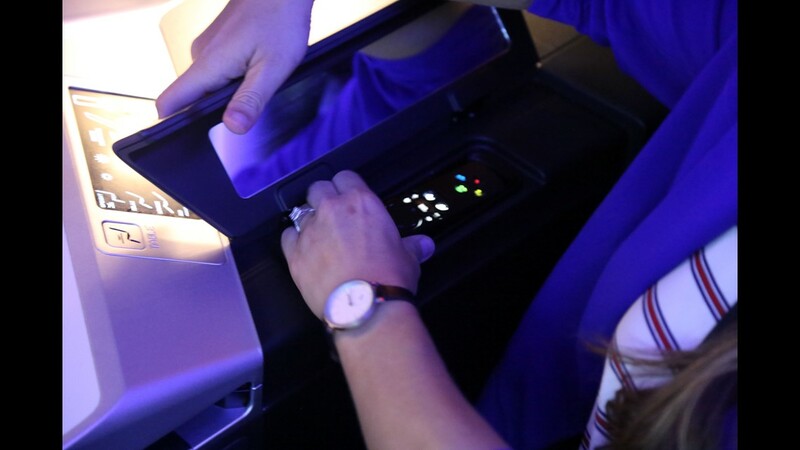 Delta showed off the interior in Atlanta on June 15, 2018. 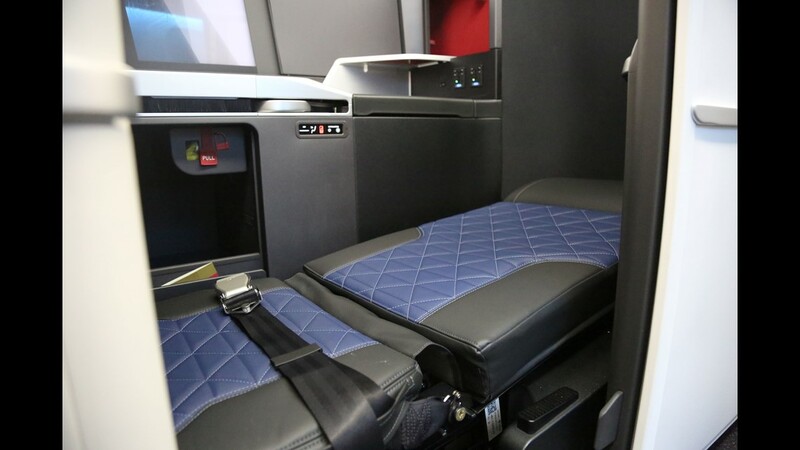 There’s lots of legroom in the Delta One ‘suites’ cabin on Delta’s retrofitted Boeing 777 jets. 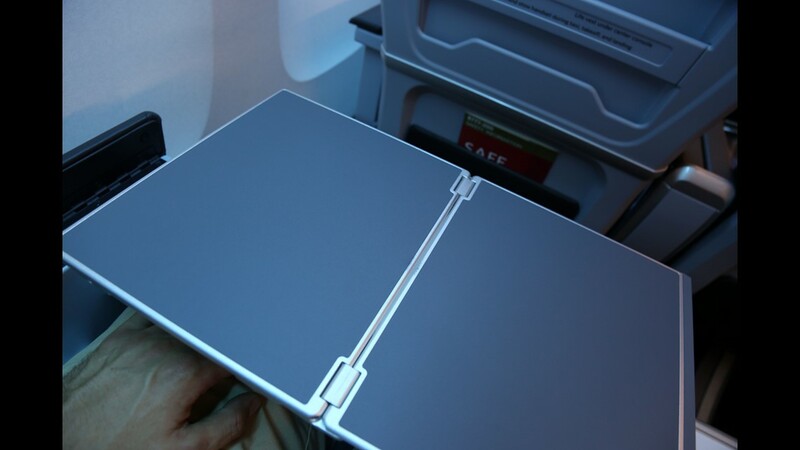 Here is a well where fliers can rest their feet as they recline toward the lie-flat position. 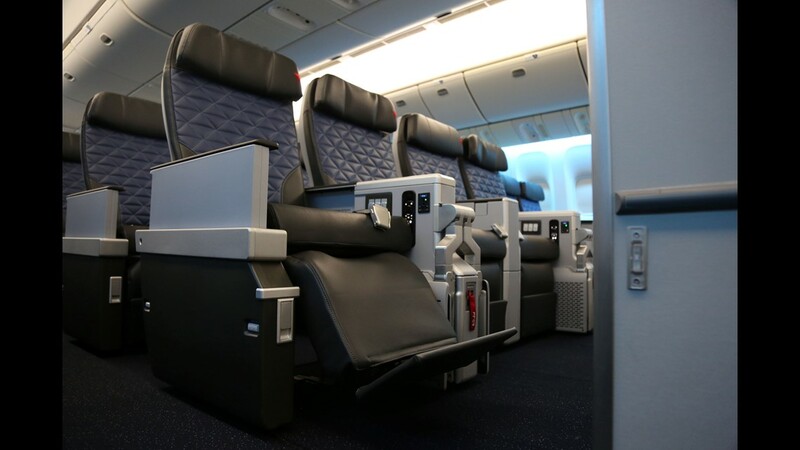 Delta One 'suites' seats as seen onboard the carrier’s first Boeing 777 to be retrofitted with an updated cabin interior in Atlanta on June 15, 2018. 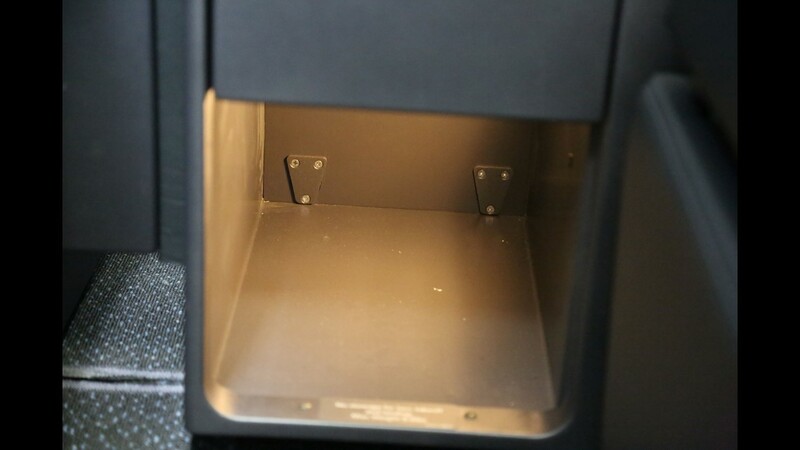 Here, the sliding privacy door is partially open. 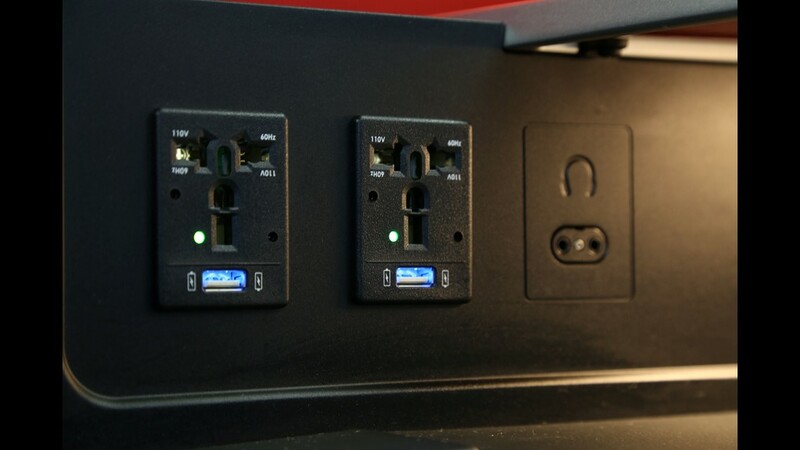 Power outlets and earphone jacks as seen on Delta's first Boeing 777 to get its new Delta One business-class cabin. 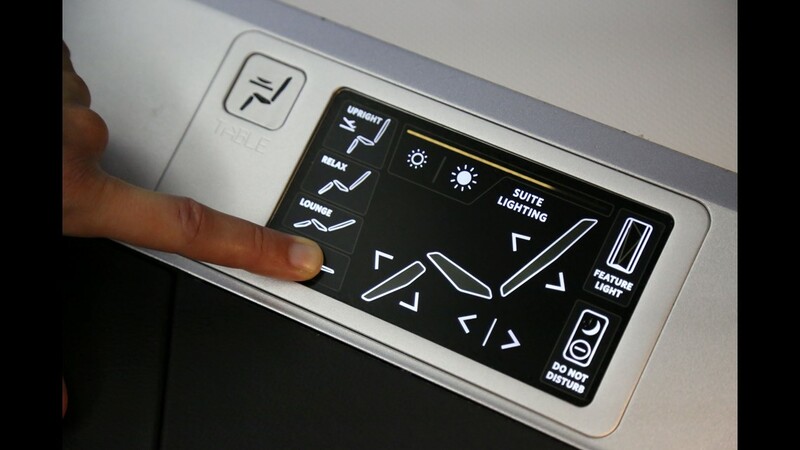 A control panel for Delta’s 'Delta One' business-class cabin is seen on the company's first Boeing 777 to be retrofitted with its latest cabin interior. 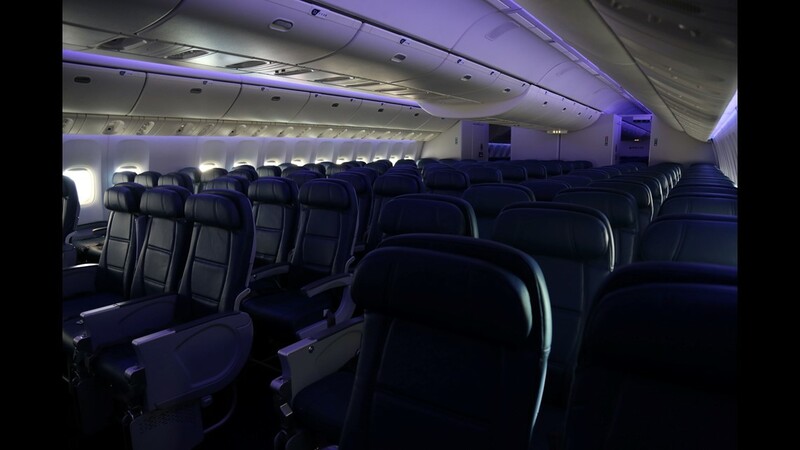 Delta showed off the interior in Atlanta on June 15, 2018. 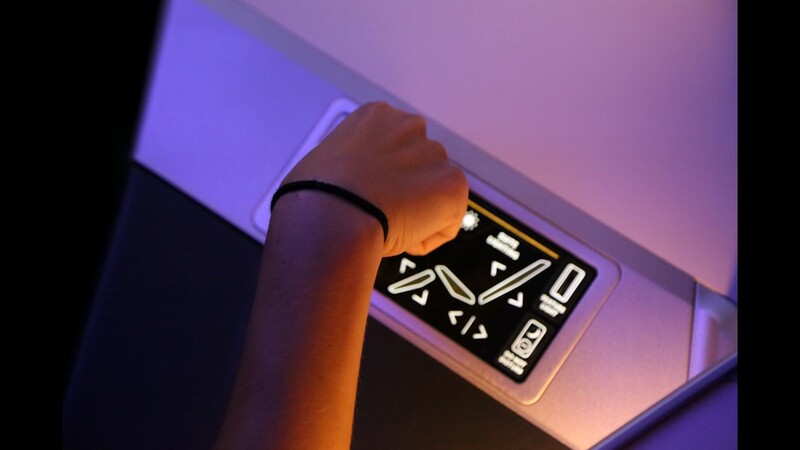 A control panel in the Delta One 'suites' cabin as seen onboard Delta's first Boeing 777 to be retrofitted with the airline’s latest cabin interior. 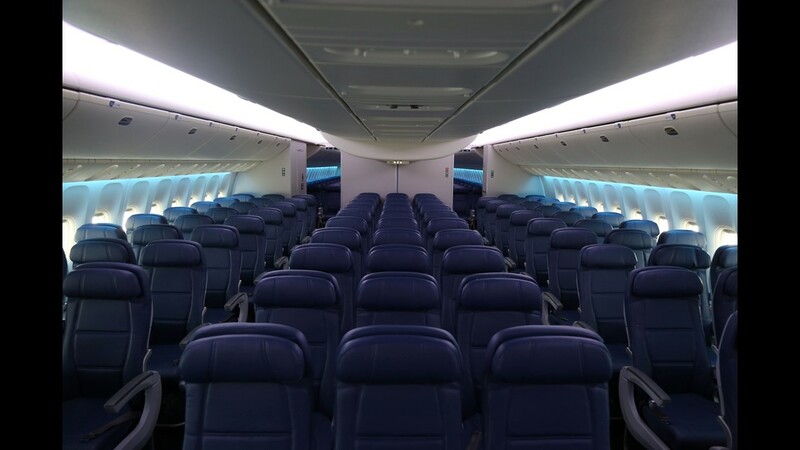 Delta showed off the interior in Atlanta on June 15, 2018. 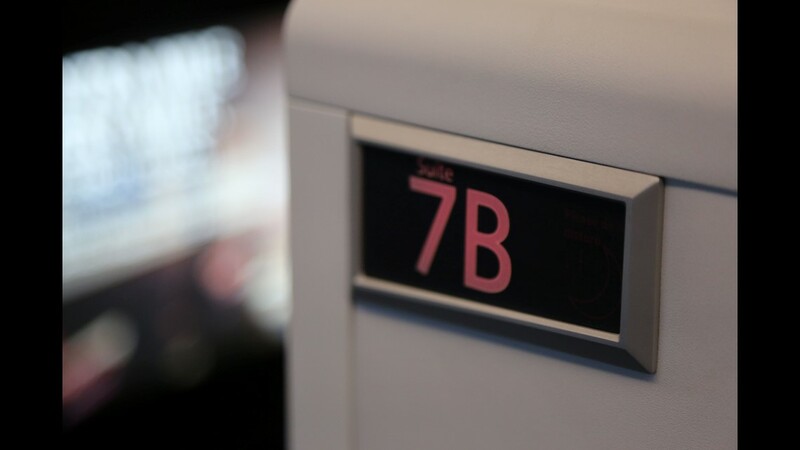 Seat 7B in the Delta One 'suites' cabin as seen onboard Delta's first Boeing 777 to be retrofitted with the airline’s latest cabin interior. 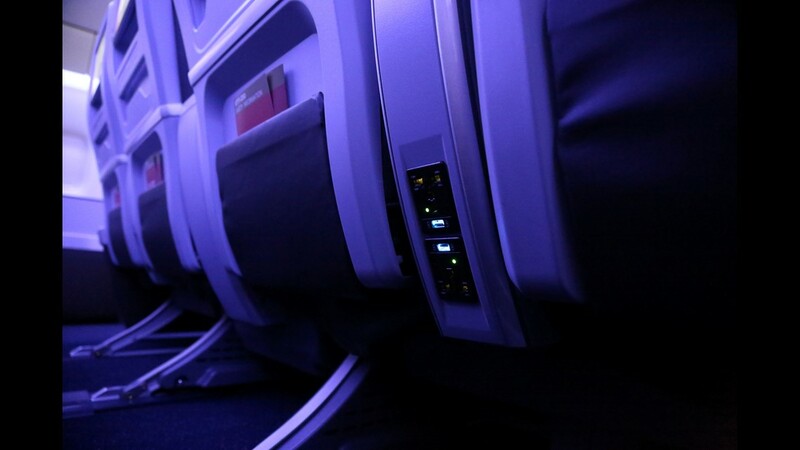 Delta showed off the interior in Atlanta on June 15, 2018. 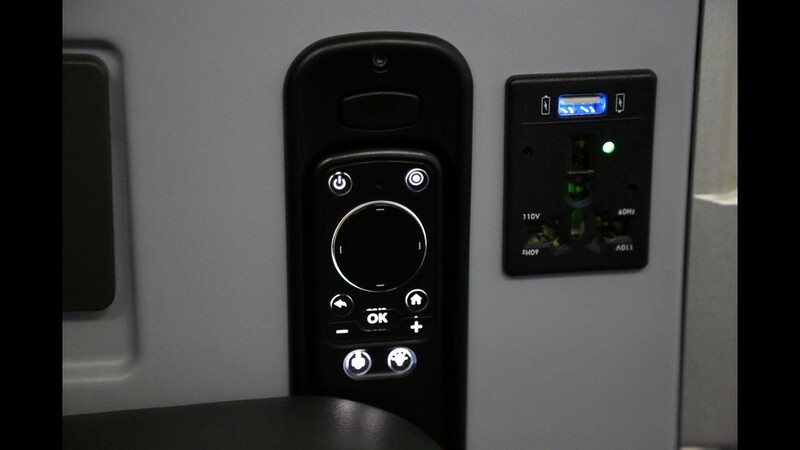 A control panel at a Delta One 'suite' as seen onboard Delta's first Boeing 777 to be retrofitted with the airline’s latest cabin interior. 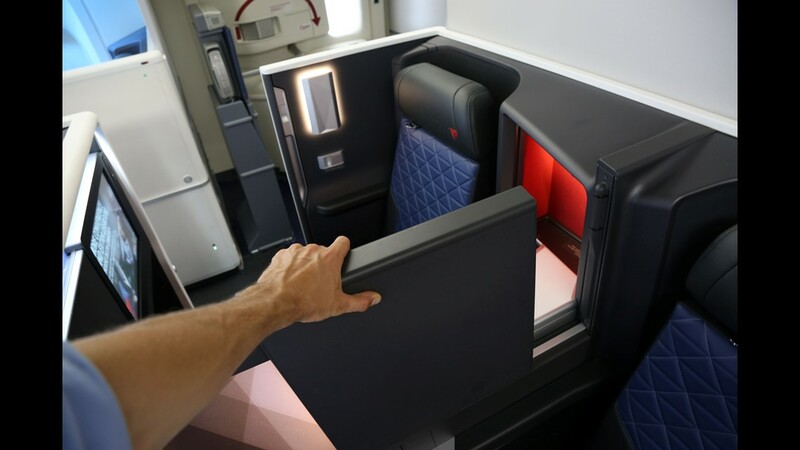 Delta showed off the interior in Atlanta on June 15, 2018. 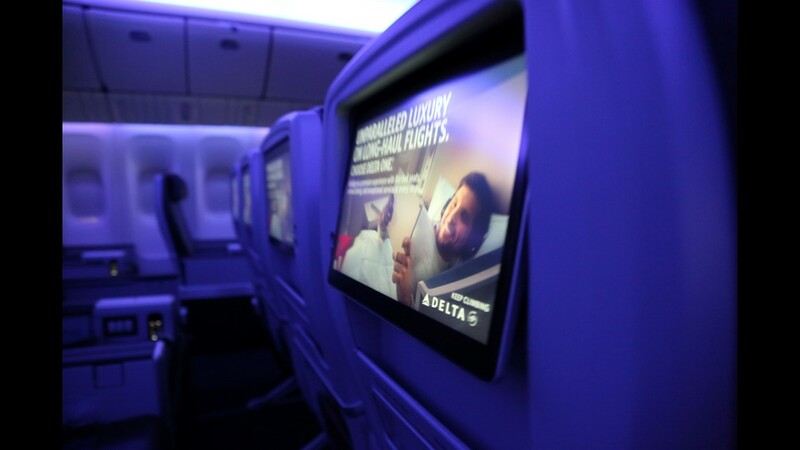 A Delta One seat as seen onboard Delta's first Boeing 777 to be retrofitted with the airline’s latest cabin interior. 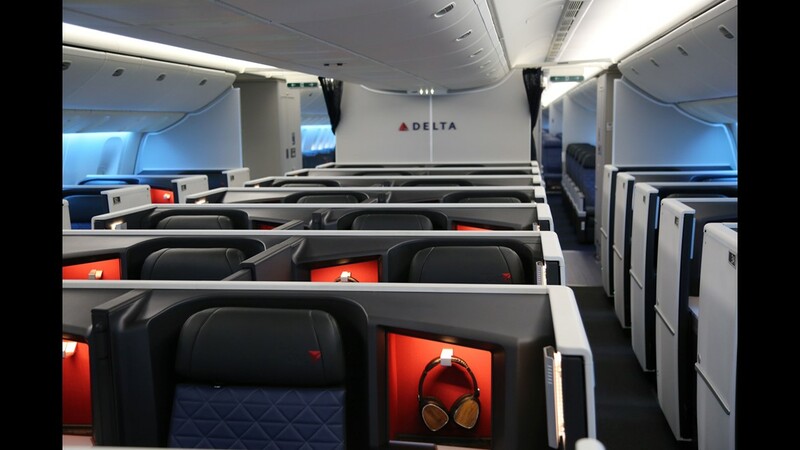 Delta showed off the interior in Atlanta on June 15, 2018. 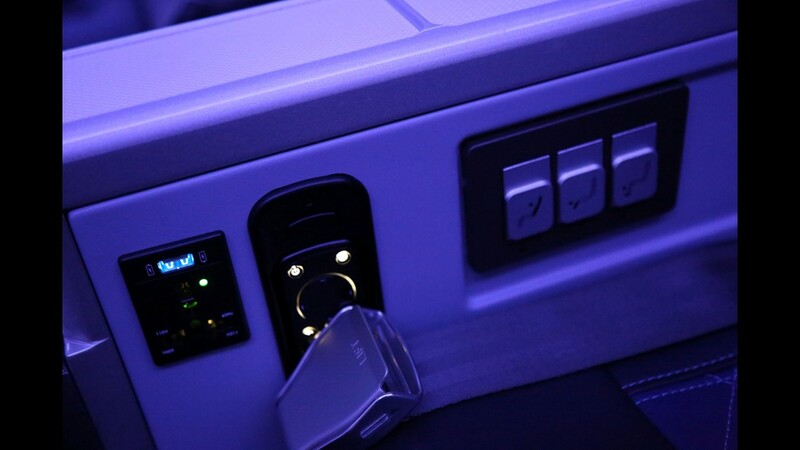 Power outlets at a Delta One 'suite' as seen onboard Delta's first Boeing 777 to be retrofitted with the airline’s latest cabin interior. Delta showed off the interior in Atlanta on June 15, 2018. 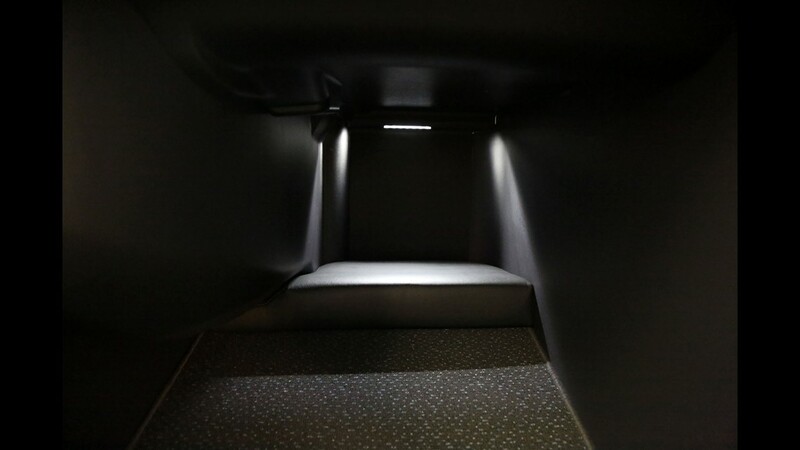 A storage area at a Delta One 'suite' as seen onboard Delta's first Boeing 777 to be retrofitted with the airline’s latest cabin interior. 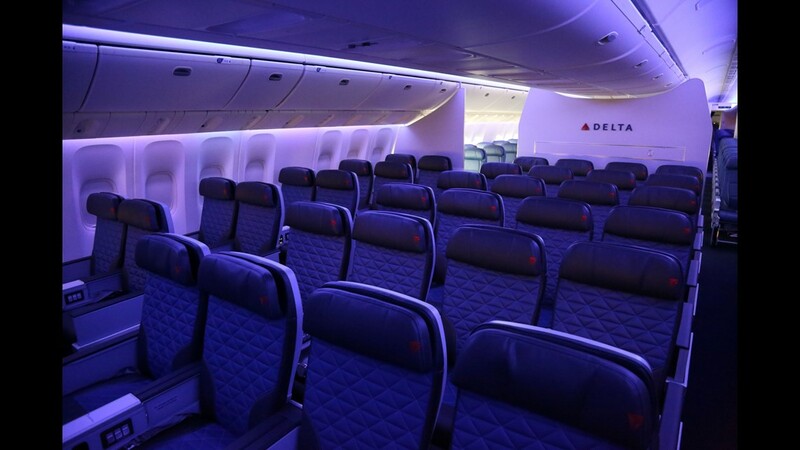 Delta showed off the interior in Atlanta on June 15, 2018.